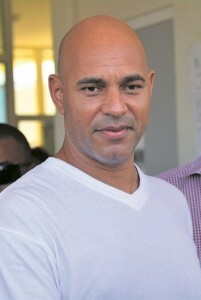 WILLEMSTAD - Lawyer Marije Vaders goes with the convicted Burney "Nini" Fonseca to the Court of Cassation following the verdict of the court in the Maximus case. She does not agree with the ruling that the Court has made and no longer has any confidence in the case-law on the island. According to her, Elvis Kuwas, who shot Helmin Wiels, has made two different statements that do not match. Fonseca was sentenced to 26 years after being accused as the middleman between the clients and executors of the murder of political leader of Pueblo Soberano Helmin Wiels on May 5, 2013. Fonseca was initially sentenced to 25 years but went into appeal.